Thank you Andre Cannon for this picture! Spoilers! for those who have not seen the Age of Ultron do not read. After the events of Age of Ultron some of the former Avengers leave and are replaced with newcomers. During the course of the movie the Avengers have added Scarlet Witch, Quicksilver and Vision. Thor is disturbed by his visions of Ragnarok and returns to Asgard. Tony Stark takes off as well saying he needs a break. Hawkeye seemingly retires. The Banner / Hulk fly off in a jet to an unknown location. Quicksilver is also killed during the final battle with Ultron. This leaves the Avengers down to Captain America, Black Widow, Vision, and the Scarlet Witch. At the end of the film it is shown that they have two more members. 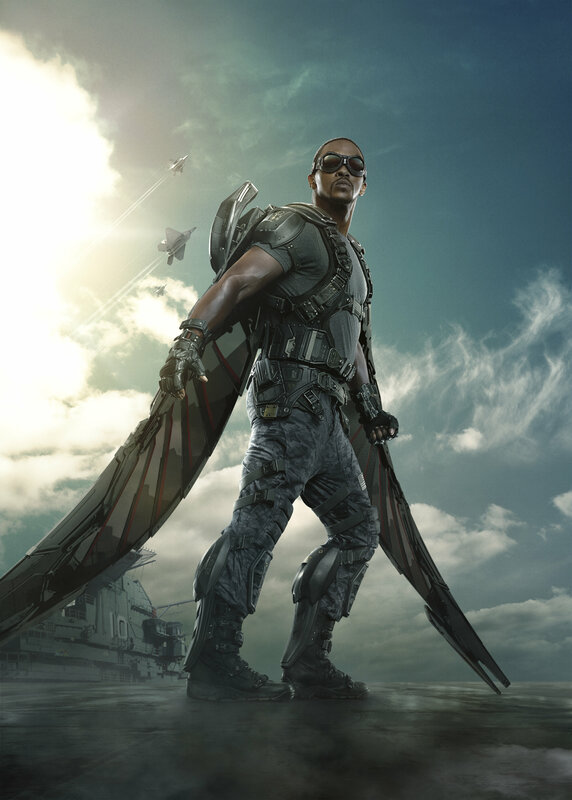 Falcon the longtime friend of Captain America has joined the squad. Warmachine who fights in the final battle against Ultron also officially joins the squad. One observation about the new team that is hard to overlook is that it is far more diverse that the previous MCU rosters. The Avengers first roster consisted of 5 white males and 1 white female or 100% Caucasian, and 16% female. This new roster has 1 white male, 1 android, 2 African American males, 2 white females or 50% Caucasian, 33% African American, and 17% android. Gender wise the team is now 33% female. Note: Some will call Vision a white male because he is played by a white male but that seems a little silly to me. In effect the team was brought through comic history from the 1960s to the 2000s. Marvel's plan seems to have been start with something close to its historical team but quickly evolve it toward the present.